The ICBM-launched missile vehicle descends from near-space altitudes at hypersonic speeds. Last week, the Chinese military successfully concluded the first test flight of a hypersonic missile vehicle, according to U.S. defense officials at the Pentagon. The hypersonic missile is intended to deliver warheads through U.S. missile defenses, according to The Free Beacon. According to reports, the hypersonic vehicle is designed to detach from one of China’s existing intercontinental ballistic missiles (ICBM) at a near-space altitude and then accelerate to speeds 10 times the speed of sound during its descent towards its target. Hypersonic missile technology is currently a topic of much research and development in the United States, Russia, China, and India. Currently, the title of the fastest cruise missile in the world is held by the Russo-Indian jointly developed BrahMos cruise missile. The technology offers several advantages over conventional or supersonic missiles, namely rapid payload delivery, improved survivability against missile defense systems, and precision targeting. Hypersonic speeds are technically defined to fall between the range of Mach 5 and Mach 10 – 3,840 miles per hour and 7,680 miles per hour. 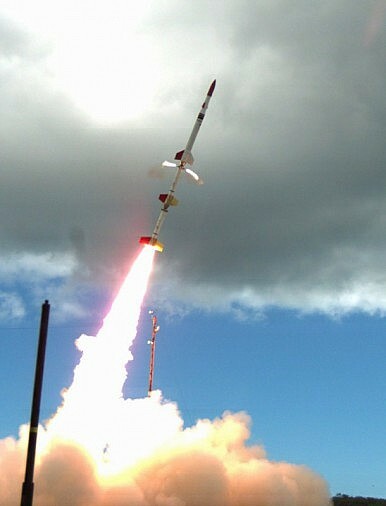 While the United States is developing hypersonic missiles as well – both surface and air-launched variants – much of its attention has been focused on the prompt global strike system, which would allow the U.S. to use a conventional strike to hit any target globally within an hour. The prompt global strike technology repurposes strategic nuclear ICBMs with conventional explosive warheads, but raises issues of target ambiguity and increases the odds of a nuclear miscalculation since an ICBM launch would be perceived to be carrying a nuclear warhead. Recently, reports emerged that U.S. prompt global strike weapons prompted Russia to reinvest in Soviet-era rail-launched ICBMs. The Chinese missile test appears to be an attempt by China to pursue a prompt global strike-like capability.